A New Green Deal For The Netherlands: Will the Dutch Embrace Voluntary Carbon? Several European NGOs are experimenting with voluntary carbon markets to drive down greenhouse-gas emissions, often in cooperation with state and federal governments. The Dutch effort is called the “Green Deal”, and proponent Jos Cozijnsen hopes to make it work by making carbon trading fun. 30 January 2018 | UTRECHT | The Netherlands | Jos Cozijnsen shakes his tangled black mane and adjusts his leathery blue suit – fashioned, it turns out, from overalls discarded by German railroad workers and available through his sustainable clothing company, Goodfibrations. When it comes to fixing the climate mess, he wants everyone to do much more than the law requires, especially his fellow Dutchmen. 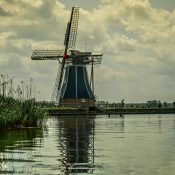 Indeed, it seems to bother him immensely that here in the Netherlands – the birthplace of wind energy and the headquarters of Greenpeace – the average Dutchman contributes far more to climate change than does the average Swede, Swiss, or Frenchman. But the Dutch are also notorious penny-pinchers with fervent pride in their local communities and a deep love of games and puzzles – three traits that he thinks will help them drive emissions down dramatically under a nationwide voluntary carbon program called the Green Deal, which he’s spearheading along with the Ministry of Environment and several environmental NGOs. The program has been in the works since mid-2016, and it’s slated to go live later this year as a compliment to the European Union Emissions Trading Scheme (EU ETS). EU ETS is a “compliance” program that legally caps greenhouse-gas emissions on some of Europe’s biggest industries – including electricity, paper, and steelmaking. It requires companies in those sectors to either reduce their emissions or buy offsets from projects that do, but it also leaves more than half of all emissions outside the regulatory apparatus. The Green Deal is a “voluntary” program, he says, and its goal is to dramatically drive down emissions in un-capped sectors like agriculture and automotive, and to do so by encouraging people to develop carbon projects under existing standards like the Verified Carbon Standard, CarbonFix, and the Gold Standard. The project will encourage un-capped companies and individuals to first reduce emissions by reducing energy use and becoming more efficient, but it will couple that by promoting home-grown projects that generate offsets by planting trees or helping farmers reduce their emissions from methane and other greenhouse gasses. It will include a hub so people can see which type of projects are located where, and it will encourage groups to aim for zero net emissions. While Cozijnsen publicly emphasizes the “fun” aspect of getting to zero (and becoming, he says, a “carbon hero”), the Green Deal is serious business. It could drive millions into sustainable development projects, for example, and it comes two years after a Dutch court ruled that the government is legally obligated to slash emissions 25 percent before the Paris Climate Agreement comes into effect in 2020. Cozijnsen, who long represented the Netherlands in global climate talks, sees the Green Deal as a way for the government to meet its pre-2020 obligation, and for companies to prepare for a post-2020 regime, when all sectors will presumably be capped. Dutch companies and NGOs are already active in both the voluntary and compliance markets. They transact millions of carbon offsets per year, but that money usually goes abroad – to save and restore forests around the world, according to an analysis of European voluntary carbon markets that Ecosystem Marketplace and EcoStar Natual Talents published last year. 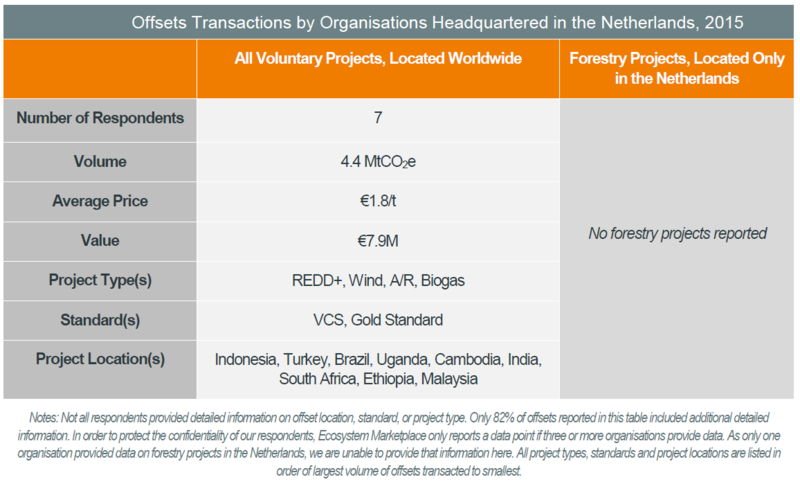 Specifically, the report found, companies and NGOs based in the Netherlands transacted 4.4 million carbon offsets in 2015 alone, helping to build wind farms and save or restore forests across nine countries – from Indonesia and Brazil to Turkey and Uganda. One country missing from the list: the Netherlands itself, and it’s not alone. The report also found no active land-based projects in France, Spain, or Switzerland, and only a few in Germany, the UK, and Italy. 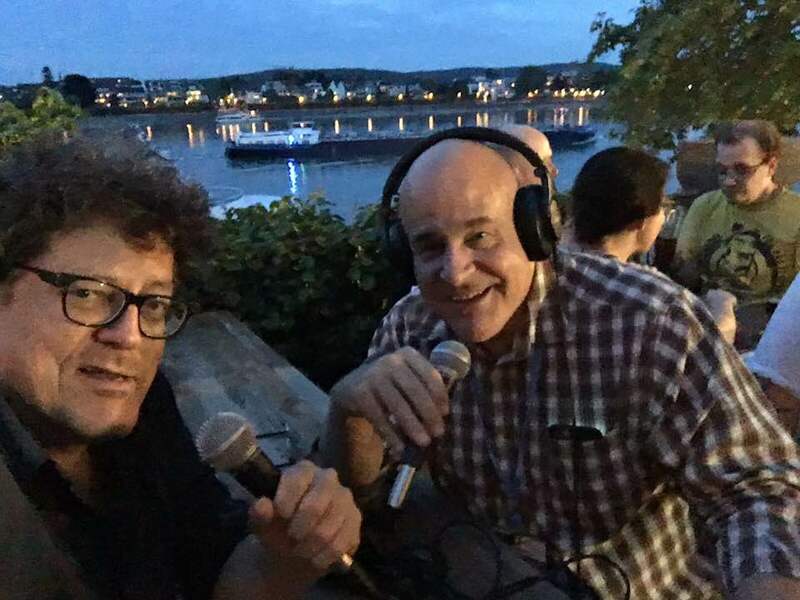 The German Ministry of Environment has been supporting efforts to develop voluntary carbon programs domestically, and Cozijnsen says similar efforts are underway across the European Union.